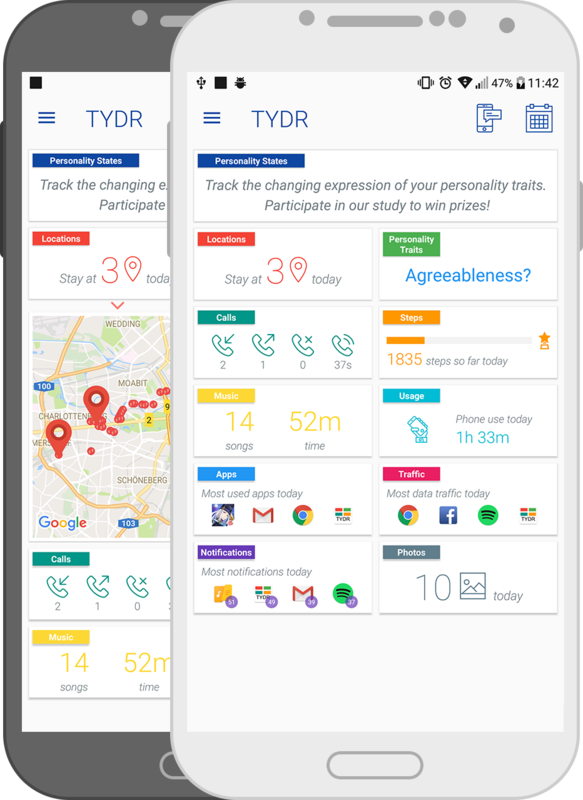 TYDR is available for Android smartphones in Google Play now! 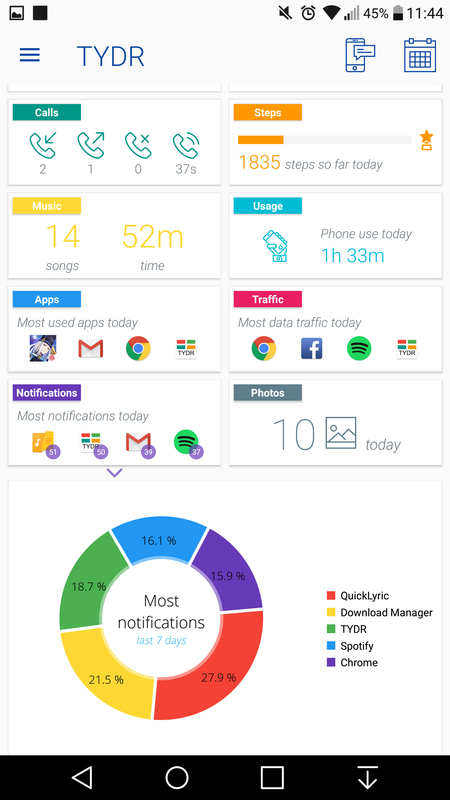 TYDR (Track Your Daily Routine) is a research Android app that gives you insights on your daily smartphone usage behavior and your personality. From 12 November to 25 November 02 December 31 December you will be able to sign up for a study – you can win 50 Euro for participating! 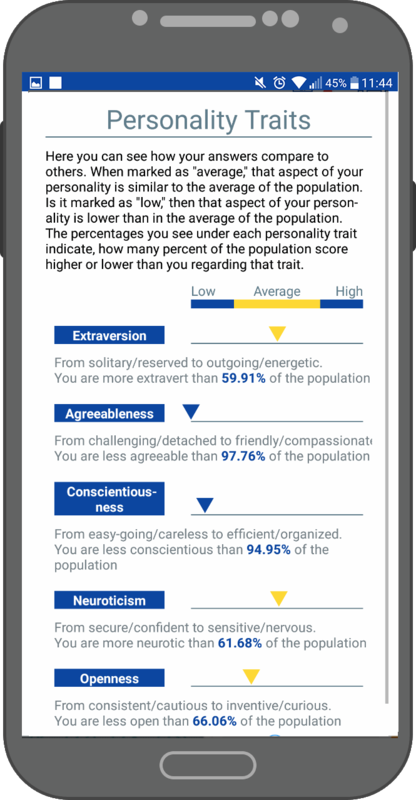 To participate, you have to fill out a personality diary (multiple choice questions) every evening for 21 days. When developing TYDR, privacy was one of our main concerns. 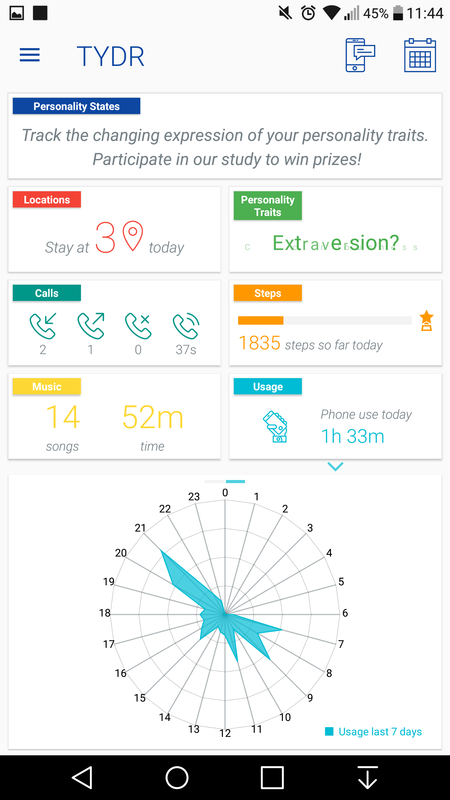 You are in control of giving TYDR the related data access permissions to be able to analyze your daily routine. The pseudonymized data will securely be transferred to servers of the Technische Universität Berlin and will be used for research purposes only. 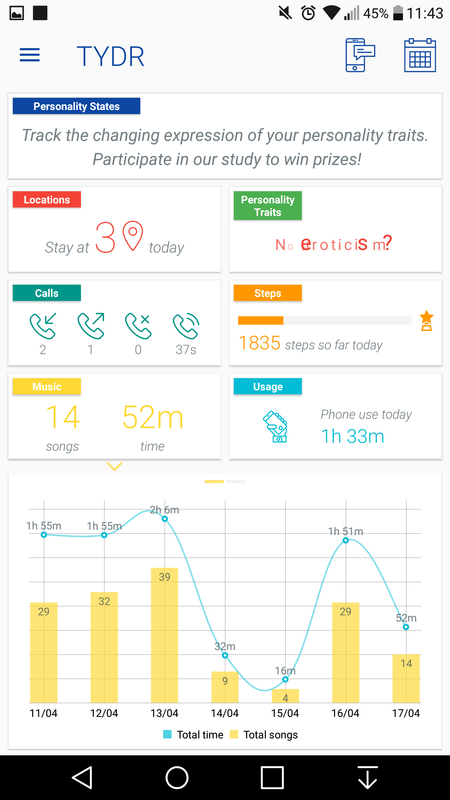 With the data from TYDR, we want to research if we can estimate the personality of a smartphone user by the data that can be collected automatically. This could eventually lead to not needing to fill out questionnaires anymore. 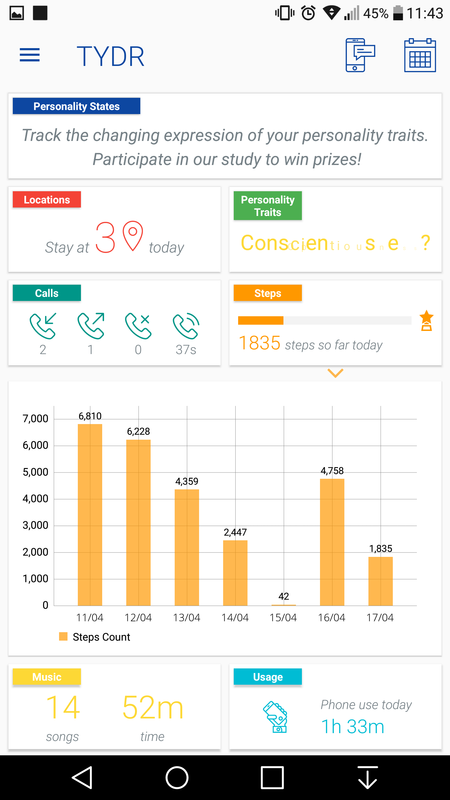 There are potential benefits for mobile health apps and recommender systems – apps could know what type of person the user is and adapt to his/her needs. TYDR was developed and will be used for research purposes only. The ethics commission of Technische Universität Berlin approved of our upcoming study. 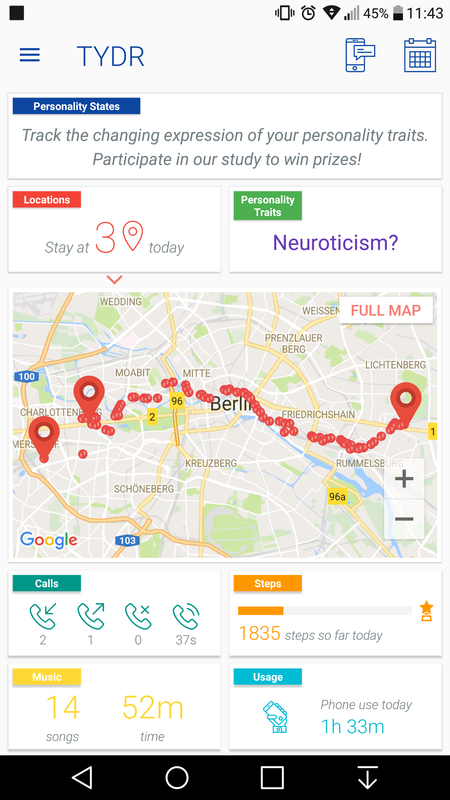 We wrote a scientific paper about what privacy precautions we took for TYDR and published it at the The 15th International Conference on Mobile Systems and Pervasive Computing (MobiSPC) and received the Best Paper Award. You can find the paper here. If you have any questions about data or privacy, feel free to contact us at any time at tydr@snet.tu-berlin.de.